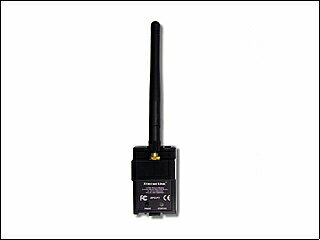 XtremeLink® 2.4GHz transmitter module specifically for the Hitec Aurora 9 transmitter.. Provides receiver battery voltage and signal strength through the Aurora 9's telemetry display (Telemetry support requires 8 or 10 channel XtremeLink® receiver with v3.7 or later firmware). This kit gives you parts necessary for relocating the antenna on the XtremeLink® transmitter module to the top of the Aurora 9's transmitter. WARNING! The relocation of the antenna requires you drilling a hole through the Aurora 9's transmitter housing plastic. If you do not believe you can do this, then please do not purchase this upgrade! 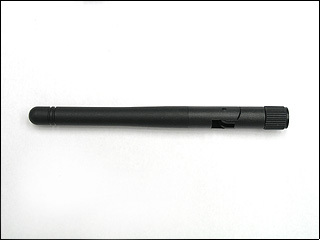 Kit includes: top mount adapter with 7" pigtail pre-installed and new case back. Installation information can be found in our vendor area on RCGroups.com. 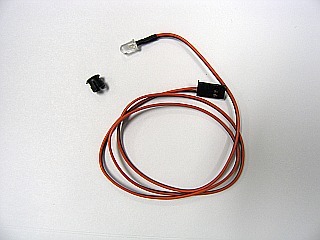 Protect your ESC and your connector with this anti-spark system! 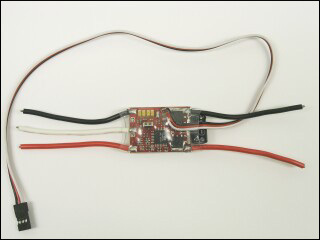 Temporarily connects between the positive side of the ESC and the positive battery lead. 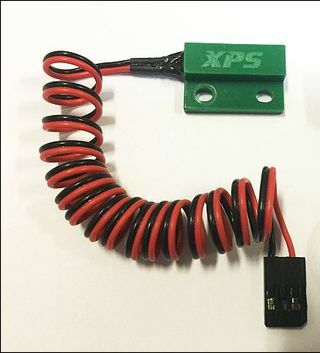 This devices charges the capacitotrs in the ESC slowly (about 2 seconds with a Castle HV110 controller) to prevent that nasty spark that can cause permanent damage to your controller and connectors!! 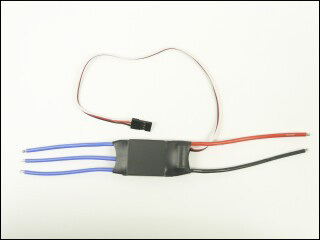 Can be soldered into the positive ESC lead for a permanent solution, or used with connectors for a portable soluton. 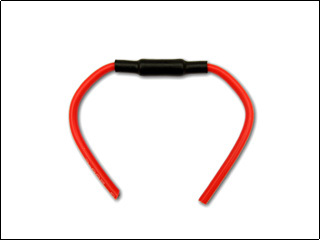 Comes with 3" 14awg leads on each side, overall length is 7.25". The DivBee® module sets the standard for the next generation of 802.15.4/Zigbee compatible devices. With its impressive sensitivity and output power, no other RF module can match its performance! Quantity price breaks start at just 50 pieces, with exceptional pricing available for large quantities. 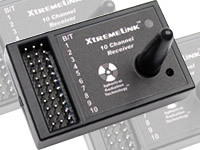 XtremeLink® 2.4GHz transmitter Multiplex EVO series radios (7, 9, and 12 channel versions). 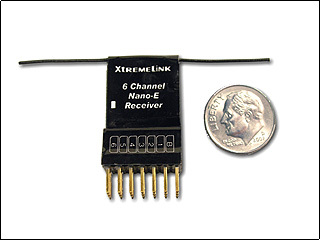 Consisting of one XtremeLink® 2.4GHz transmitter module (internal), adapter plug, and antenna. SUPPORTS ALL VERSIONS OF EVO FIRMWARE UP TO v3.50! Have an older EVO XtremeLink module and want to upgrade to Multiplex's latest firmware version? If so, you have to upgrade your EVO board and it's firmware. v3.0 and later of the EVO's transmitter firmware supports Multiplex's "M-Link", which is their 2.4GHz system. 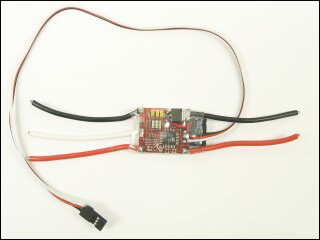 Using a new harness assembly and a firmware upgrade, we emulate the M-Link system. This gives you all of the M-Link features, such as ability to do the range test from the front buttons, binding receivers from the front buttons, and even telemetry support. This upgrade package also includes the new top mount antenna adapter and antenna coax. You install the antenna through the top of the transmitter and snap on the antenna connector on our board. This upgrade supports all Multiplex firmware versions up to 3.54, and still supports the older versions if you go backwards in versions. Purchase this upgrade, and then send in a copy of your purchase invoice with your original EVO XtremeLink board. We will modify the board and install the new harness, reflash the board, test it all, and send it back with the new antenna system. 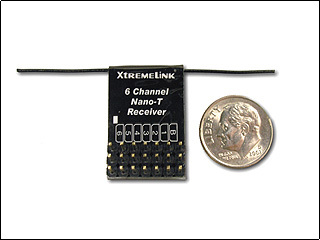 XtremeLink® 2.4GHz transmitter module for Futaba 9C and other transmitters. 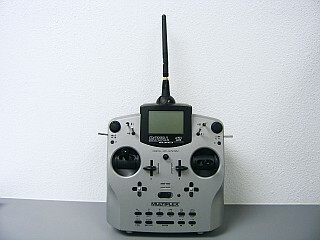 Not compatible with Futaba 9Z, Futaba surface radios, or Hitec transmitters. 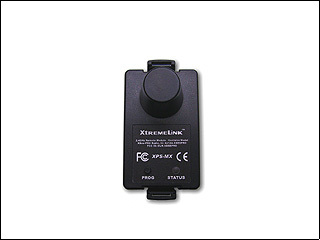 Internal XtremeLink® 2.4GHz JR11x transmitter module. 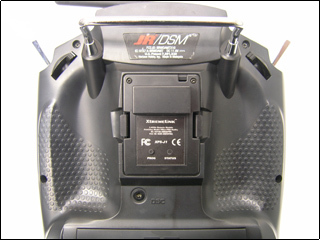 Convert your DSM2/DSMX JR11x transmitter to an XtremeLink® 2.4GHz system! Easy to install. See the manual for installation details! 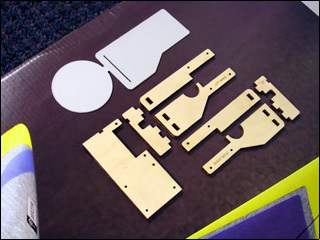 Add retracts to your Parkzone Habu with this laser cut kit! Requires e-Flite electric retract units. Comes with laser cut left wing, right wing, and nose gear mounting plates, and plastic template. Here are some video made by our customers! 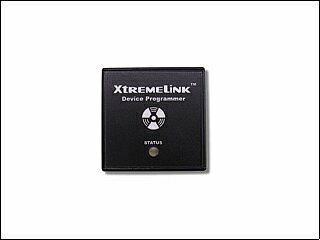 XtremeLink® 2.4GHz transmitter module for Multiplex Profi series radios (4000 and 3030 versions). 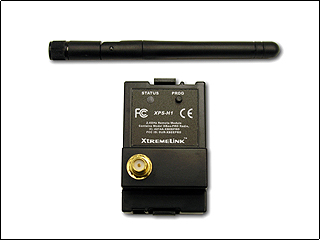 Consisting of one XtremeLink® 2.4GHz transmitter module (internal), adapter plug, and antenna w/ball. The best hinge tape for use with foamies! 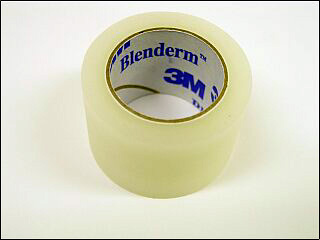 Semi-permanent, stretches easily, resistant to heat, won't dry out and crack like other tapes. 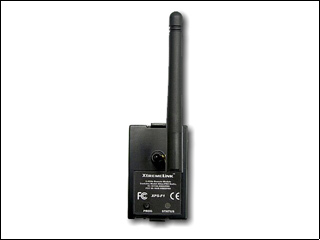 XtremeLink® 2.4GHz transmitter module for Futaba 9Z, Futaba surface radios, and Hitec radios. The 5th generation of XtremeLink® 2.4GHz receivers is here! Offering even more range than any previous version! This end pin receiver is ideal for use in small gliders and anything requiring a tiny and lightweight receiver! However, don't let the size of this receiver fool you - it's a full range receiver! In fact, it has better range than the original 8 and 10 channel receivers we offered. 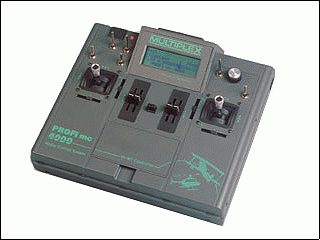 Supports PWM, PPM, "Xtreme" and "mixed mode" outputs so you can use flight stablizers, helicopter gyro systems, etc. with a single servo wire connection! With an operational voltage of just 1.8 volts (and up to 16v), brown outs are never a concern! Compatible with all XtremeLink® and iFS brand radio systems. 18 amp brushless motor speed controller. This unit has every setting except BRAKE automatically set based on the motor type and battery type. No fuss, easy install. These are compatible with the open source code for quad copters! 25 amp brushless motor speed controller. This unit has every setting except BRAKE automatically set based on the motor type and battery type. No fuss, easy install. 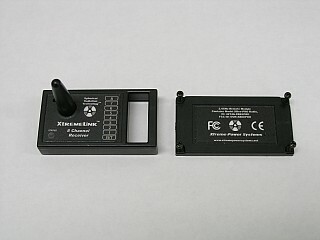 XtremeLink® 2.4GHz transmitter module for JR radios. This top pin receiver is ideal for use in small gliders and anything requiring a tiny and lightweight receiver! However, don't let the size of this receiver fool you - it's a full range receiver! In fact, it has better range than the original 8 and 10 channel receivers we offered. 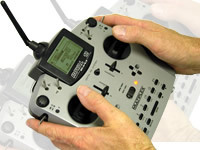 Supports PWM, PPM, "Xtreme" and "mixed mode" outputs so you can use flight stabilizers, helicopter gyro systems, etc. with a single servo wire connection! With an operational voltage of just 1.8 volts (and up to 16v), brown outs are never a concern! 18 amp brushless motor speed controller. Fully programmable controller using either throttle stick input or our programming card. 25 amp brushless motor speed controller. 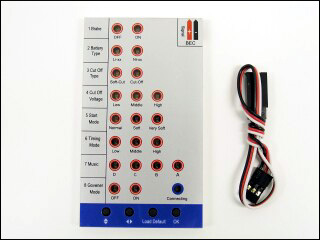 Fully programmable controller using either throttle stick input or our programming card. 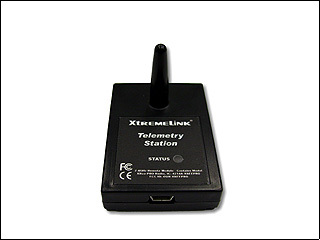 XtremeLink® 2.4GHz universal transmitter module. 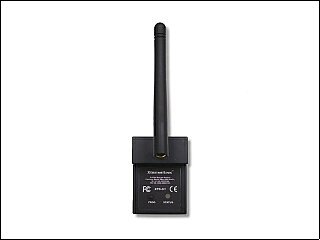 XtremeLink® 2.4GHz transmitter module for Airtronics M8 or M11 surface radios. The 5th generation of XtremeLink® 2.4GHz receivers is here! This pin-less receiver is ideal for use in small indoor aircraft where the extra weight of servo pins might be a burden! This is the same receiver as our end pin and top pin versions, so don't let the size of this receiver fool you - it's a full range receiver! Compatible with XtremeLink®, JR DMSS X-Bus (Mode A & Mode B), Futaba SBUS/SBUS2, Graupner HoTT SUMD, JETI UDI, and Spektrum/compatible Satellite receivers! This is the second version of our original version! 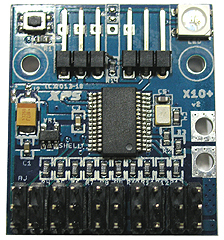 The X10+ Channel Expander is a small device that acts as a power expander, channel expander, voltage monitor, and failsafe system for different types of receivers that output a serial data stream. So, XPS Nano, Nano II, & RFU, JR DMSS X-Bus (Mode A & Mode B), Futaba SBUS/SBUS2, Graupner HoTT SUMD, JETI UDI, and Spektrum satellite receivers are all supported. ALL types of servos are supported, so ALL receivers will work with ALL servos. You don't need special and expensive servos! Single or dual receivers can be used with all supported systems! Size: 1.25" x 1.4" x .450"
Click here to see the X10+ manual. 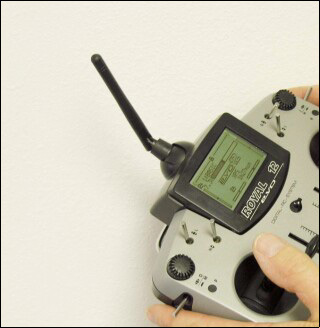 Compatible with all XtremeLink® and Graupner iFS systems. 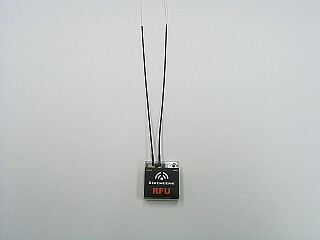 The RFU is a highly sensitive receiver with diversity antennas, offering the absolute best range of our entire product line. This device interfaces directly into our X10+ Channel Expander. It can also output many other protocols, such as Spektrum satellite and Futaba S.BUS, and even a composite PPM data stream. Click here for wiring options. The ultimate tool for checking your power system! The TattleTale is a tiny and lightweight device that plugs into a empty receiver channel (or through a Y-cable). This device measures the input voltage and displays the lowest voltage threshold that was captured after being powered on. With a programmable acquisition time of 1ms to 100ms, even the shortest voltage sags can be detected! 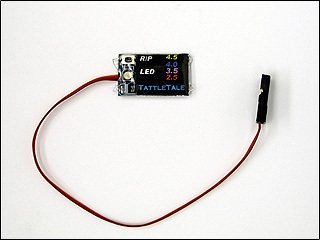 The TattleTale also monitors your servo signal and immediately reports any "glitch" in the servo output by flashing the multi-colored LED. PPM glitches, failsafes, and even reboots can now be reported! As a special bonus, the TattleTale can also be a programmable timer, flashing the LED bright white after time has expired. This is great for night flyers! People have been flying for decades with inadequate power. With the development of 2.4GHz radio systems, power requirements are now being enforced. Don't be caught with a power system that is marginal and risk your aircraft, car, or boat! Small size: .5" x .75"
Have a broken or ugly 8 channel receiver in your collection? Time for a brand new case! Replacment case comes with top and bottom halves, with 4 new screws. 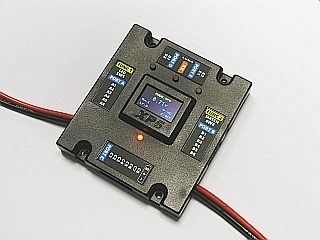 Compatible with all "Programmable" type XPS (only) speed controllers. Offers easy in-field programming of various settings. Have a broken or ugly 10 channel receiver in your collection? Time for a brand new case! This device and software allows you to wirelessly change the settings of XtremeLink® receivers and transmitter module! It also allows you to update the firmware of receivers and transmitter modules for those units that are in-field upgradable*. Software is available for download from our website in the DOWNLOADS section. Requires a USB type A to mini-b cable (commonly used with cell phones and digital cameras). Applications for RxDiag, TxDiag, Device Programmer, and spectrum analyzer are currently available. Future applications such as support for flight simulators will be released in the future. * Only in-field upgradable units can have their firmware updated with this device. All units not capable of in-field updates can not be made to allow in-field updates. In these cases, new hardware is required. 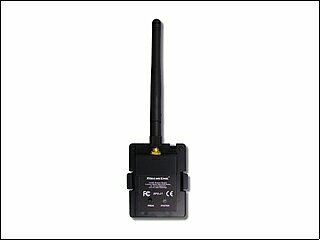 This PC based hardware device and software allows you to wirelessly obtain telemetry data from any XPS receiver and transmitter in real time. The data can also be recorded and played back for later viewing. Information available: receiver battery voltage, transmitter battery voltage, signal strength, frame rate, number of channels in use, servo positions, brown out conditions, and information from any sensor connected (sensors sold separately). 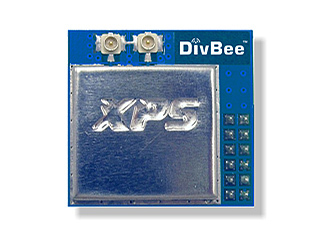 This unit also performs all of the same functions as the Xtreme Device Programmer (XDP). NOTE: v3.0 of later of the XtremeLink® firmware (both transmitter module and receivers) is required in order to use this product. 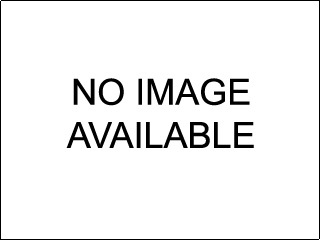 This upgrade requires the return of your existing hardware to accomplish this. It is not possible to for a user upgrade any existing pre-v3.0 units in-field due to a necessary RF firmware change. Details on how to return your system(s) will be included when you receive this product. Red LED for use with the X24. Clear LED lights up red when powered by 3.3v (or less). 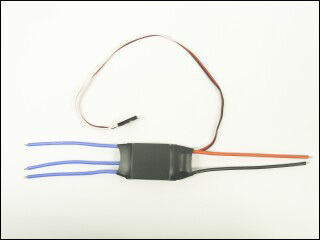 Plugs directly into the X24 to provide visual notification of the BEC system. Comes with LED mounting bezel. Replacement 2.1dBi antenna for use with XtremeLink® transmitter modules. Get a spare and keep it in your flight box in case your buddy forgets their antenna! Blue LED for use with the X24. Clear LED lights up blue when powered by 3.3v (or less). Plugs directly into the X24 to provide visual notification of the BEC system. Green LED for use with the X24. Clear LED lights up green when powered by 3.3v (or less). Plugs directly into the X24 to provide visual notification of the BEC system. White LED for use with the X24. Clear LED lights up white when powered by 3.3v (or less). Plugs directly into the X24 to provide visual notification of the BEC system. Amber LED for use with the X24. Clear LED lights up amber when powered by 3.3v (or less). Plugs directly into the X24 to provide visual notification of the BEC system. 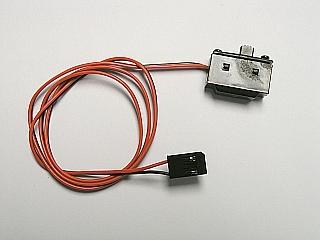 Slide switch for use with the X24. Plugs directly into the X24 to provide power off/on capabilities usign a small, lower current switch. Comes with mounting plate and screws. 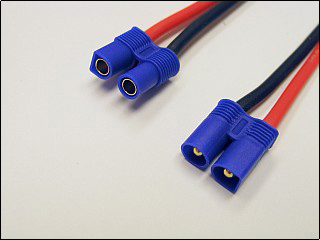 Size: .965" x .435" (24.5mm x 11.05mm) Cable length: 24"